Diyar Al Muharraq, one of the leading urban developers in Bahrain, has announced its adoption of the Benayat system for the issuance of building permits for the construction of the city’s projects, thus enabling the company to benefit from the services it provides. 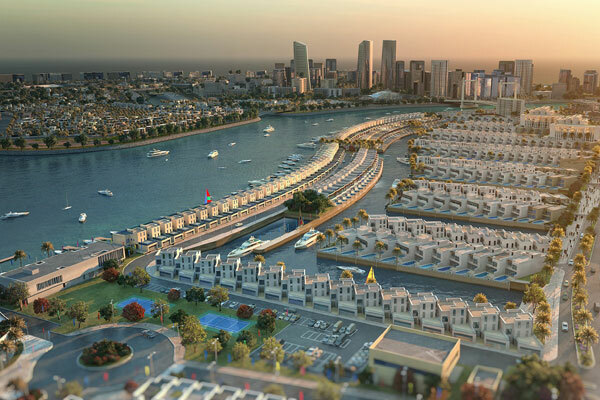 As a result, Diyar Al Muharraq has now officially received licences to build 173 residential villas in the city. Benayat is an electronic system for issuing building permits for all types of projects in Bahrain, whether residential, investment, commercial or industrial. The system was inaugurated by His Royal Highness Prince Salman Bin Hamad Al Khalifa, Crown Prince, Deputy Supreme Commander and First Deputy Prime Minister of the Kingdom of Bahrain, during the Bahrain Government Forum 2018. Benayat's platform provides users with enhanced services of high efficiency and productivity, contributing to the pace of investment, real estate and construction activities in the Kingdom, thus supporting the country's economic vision. By utilising an interactive map that provides key information for land parcels, Benayat allows applicants to obtain all necessary information to prepare drawings and documents required to apply for a building permit, and pay building permit-related fees. Chief executive officer of Diyar Al Muharraq, Dr Maher Al Shaer said: “The introduction of the Benayat platform forms a dynamic, practical and comprehensive mechanism for the issuance of building permits. And in line with our keenness to comply with all building and construction regulations, we have utilised this building permit portal to issue licences necessary to construct 173 villas throughout the development, and will continue to do so henceforth in the completion of our master-planned city.